So you've been dieting and working hard at the gym but not seeing the results you expected? Let's figure out where you're going wrong; take a look at these five reasons why you're not losing weight. Many people aren't aware of the calorie value in every day foods. Salad dressings, sauces, butter, margarine and oil often slip under the radar due to their small size - but they're packed full of calories that can slow your weight loss. Remember that moderation is the key. Some people will embark on a weight loss regime by taking part in various fad diets that exclude different food groups. However, unless you have specific dietary allergies or have sought advice from a nutritionist, this can backfire on you! Remember that a healthy diet is about balance. When we talk about weight loss, we'e really talking about fat loss! It's not unusual for someone who has recently began a new exercise routine to notice a change in the mirror, but not on the scales. This may be because your body is losing fat and increasing muscle mass - which will make you look leaner and more streamlined, but can actually increase your body weight! Protein Powder is an excellent aid for Weight Loss. If you're trying to lose weight, it's advisable that you attempt to exercise daily, or a few times a week in order to increase your fitness and burn fat. If you're still not seeing results after a few weeks, you may need to increase the amount of time spent exercising. Also keep in mind that activity is about quality, not quantity - a short, high impact work out can have more of an effect than a slow, lazy stroll around the gym! Gymboss Interval Timers are a great tool for getting that high intensity (but short duration) workout in regardless of your location. Even a healthy meal will prevent your weight loss if you go back for a second helping! Portion control is an important part of weight loss. But that doesn't mean you have to go hungry; it just means you may need to fill up more on healthy foods like fruit and vegetables. If you find yourself overeating at dinner time, try having a healthy late afternoon snack. It may be that you're doing everything right - but still not getting the results you want. That's where a supplement may help. 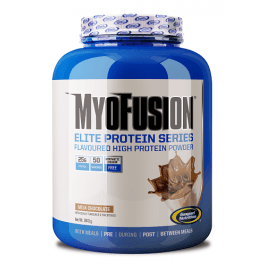 One we can recommend is Myofusion Protein Powder one study found that subjects who drank protein shakes before and immediately after a workout experienced a significantly greater drop in body fat than subjects who drank a carbohydrate drink. Don't forget to also take a look at our other weight loss products to find the right supplement for you!